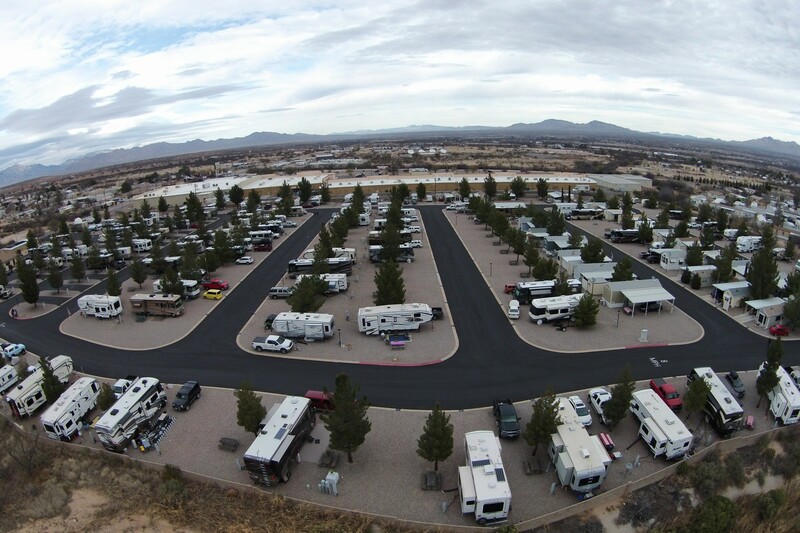 Butterfield RV Resort & Observatory is centrally located to all area attractions such as Tombstone, Kartchner Caverns, Bisbee, Pima Air & Space Museum and the casinos of Tucson. While you stay with us be sure to take a tour of the Arizona Wine Trail, visiting the local wineries of Sonoita & Elgin in the Santa Cruz Valley. Enjoy wine tasting at these award winning vineyards as you take in spectacular views. Please note that we do not accept Pit Bulls, Rottweilers, or wolf-mixes. If you have any questions, please call our office at (800) 863-8160 or enter your dog's breed in the Comments box below. 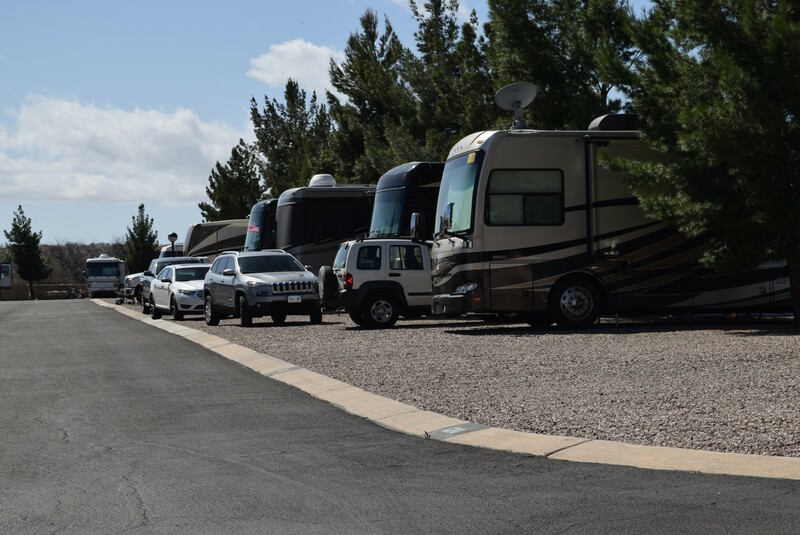 Pull through sites are only available to daily or weekly stay guests. Monthly and seasonal guests stay on back in sites. Total length in feet of your rig. Over 53 feet will need to un-hook. 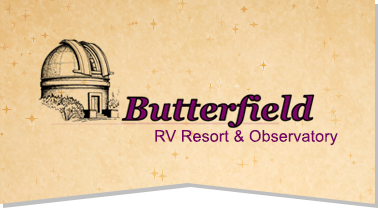 How did you hear about Butterfield? We would appreciate knowing how you found out about us, so that we know whom to thank and how better to tailor our advertising. Also, if you have any special needs or request, include that additional information here. Thank you, and we will call you to finalize your reservation as soon as possible. 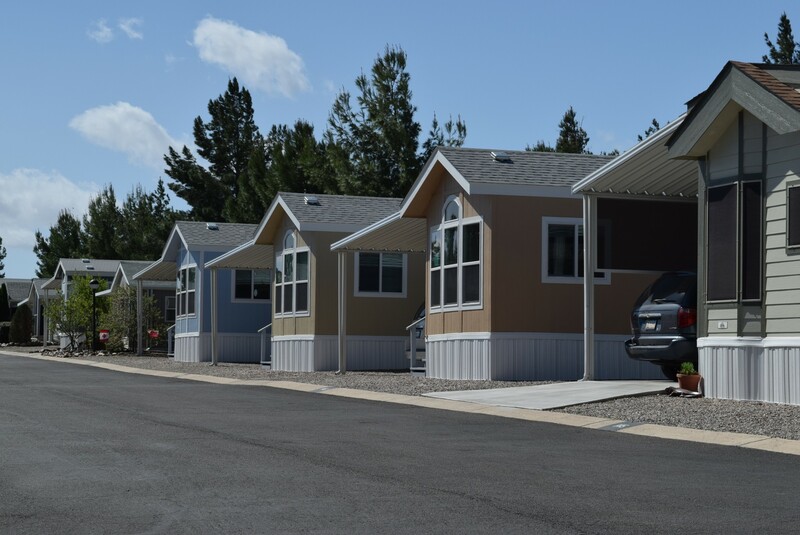 Extended Stay Information: Cable, water, sewer and most park activities are included in your site rental. Reservations of a month or longer are responsible for their electric usage at $0.17/kwh.